Air Quality Monitoring Software Market 2019 by Manufacturers, Regions, Type and Application, Forecast to 2025: This report tracks the major market events including product launches, development trends, mergers & acquisitions and the innovative business strategies opted by key market players. Along with strategically analyzing the key markets, the report also focuses on industry-specific drivers, restraints, opportunities and challenges in the Air Quality Monitoring Software market. The Global Air Quality Monitoring Software Market was valued at USD 372.01 million in 2016 and is projected to reach USD 685.08 million by 2025, growing at a CAGR of 7.02% from 2017 to 2025. 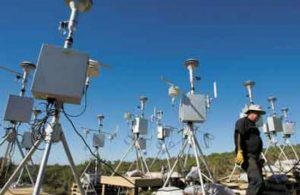 Top Companies in the Air Quality Monitoring Software Market: Cambridge Environmental Research Consultants Ltd , Kisters AG , Teledyne Technologies Incorporated , Horiba, Ltd. , Lakes Environmental Software , Brel & Kjr Sound & Vibration Measurement A/S , IPS Meteostar, Inc., Environnement S.A , 3M Company , Robert Bosch GmbH , Aeroqual Limited , OPSIS AB , Air Monitors Ltd , Lumasense Technologies, Inc. and others.